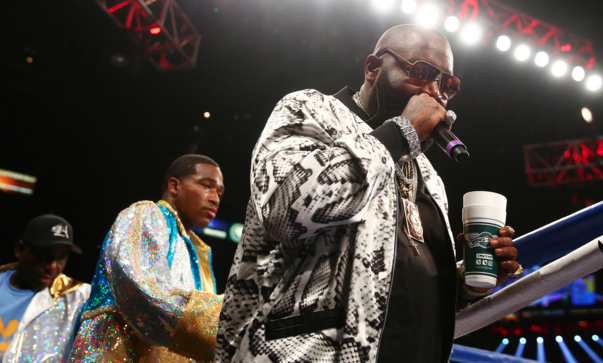 Rick Ross and Adrien Broner may soon be more than friends, with some possible music ventures in the works. Renzel confirmed that he and About Billions may soon collab MMG and About Billions Records into some heat for the streets. Broner has an artist, Young Butta, that’s had some music featured on Showtime’s All Access as well as other platforms.